Shawari Game Reserve consists of 18,000 hectares of bush and animals, situated along the Bushman's River between Port Elizabeth and Grahamstown (some 72km from Port Elizabeth) in the Eastern Cape Province of South Africa, providing a luxury safari-style holiday. The word "Shamwari" means "my friend". Shamwari is home to the big 5 (lion, leopard, elephant, rhino and buffalo) as well as giraffes, wildebeest (black and blue), gemsbok, eland, kudu, bushbuck, red hartebeest, aardvark, cape grysbok, genet, caracal, springbok, blesbok, zebra, tortoise, marshall eagle and more. They have reintroduced black rhino, which was extinct in the Eastern Cape since 1853. 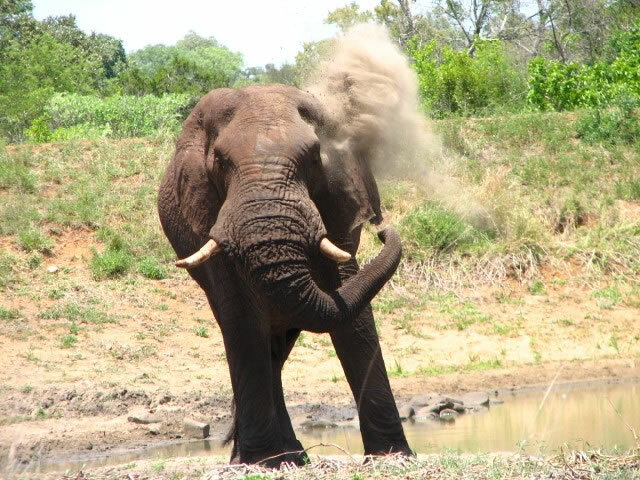 The Shamwari Game Reserve is malaria-free. Well, historic by South Africa's standards! Homes from the 1800s have been restored. Bring along your walking shoes, hats, sunglasses, cameras and camcorders. Kaya Lendaba is an arts and culture village situated on the Shamwari grounds. It was established by Credo Mutwa, an African mystic. Together with conservationist & actress Virginia McKenna, Shamwari established a Born Free Centre. 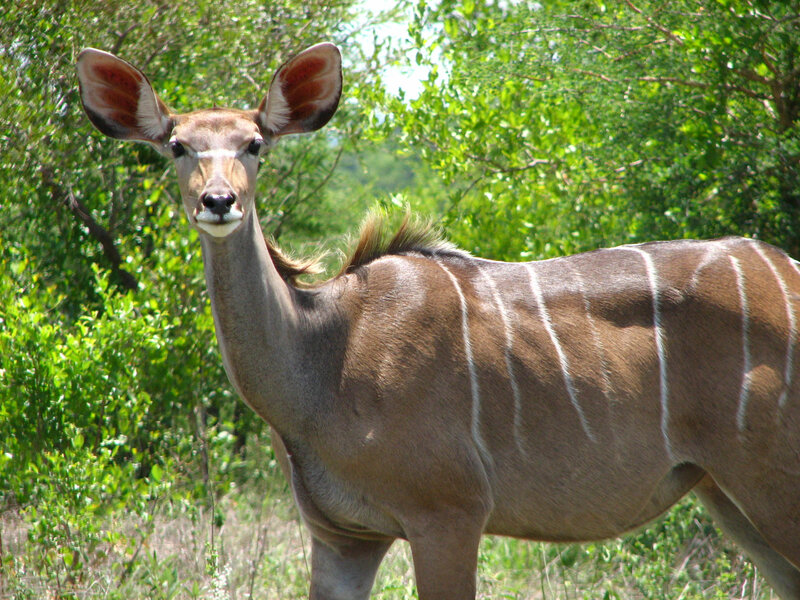 The Born free foundation has 2 areas on the Shamwari Game Reserve. The foundation takes care of leopards and lions which have been found to be poorly treated in zoos and circuses. The foundation is open to guests. Read more at the Born Free Shamwari diary. At the 2009 World Travel Awards in London, Shamwari wins World’s Leading Conservation Leading Company and World’s Leading Safari & Game Reserve Award. 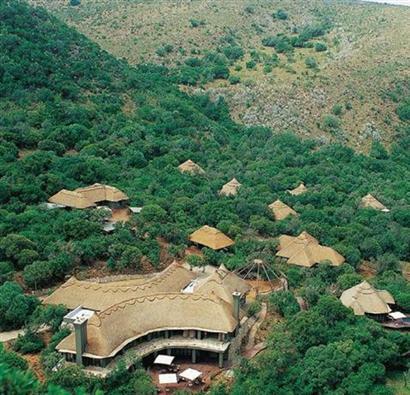 Shamwari Game Reserve comes 11th in Travel & Leisure's 2009 Readers' Award for best lodge in Africa. After the mayor of Limassol, gave the go-ahead for 3 leopards to be rehomed from the city zoo to a three acre (1.25 hectare) natural bush enclosure at the Jean Byrd Centre, one of the Born Free Foundation’s sanctuaries, set within the Shamwari Wildlife Reserve; the leopards are flown from Paphos Airport on flights sponsored by Thomson Airways to meet a connecting flight to South Africa which left London Heathrow on the morning of 31st May. Shamwari Game Reserve receives the World’s Leading Conservation Company award for the 10th year in a row (Adrian Gardiner, CEO of Mantis, receives it on behalf of Shamwari), at the World Travel Awards Middle East Ceremony in Dubai. A rhino is poached at Shamwari, but thieves fail to make off with the horn. The British movie "Safari School" is aired - the movie was filmed at Shamwari and involves 8 celebrities training to become game rangers. At the end of each week one of the celebrities is sent home. The celebrities taking part were Jamie Baulch, Carrie Grant , Claire King, Brooke Kinsella, Jan Leeming, Blair McDonough, Jeremy Sheffield and Paul Usher. Carrie Grant won the competition. Dubai World Africa acquires a major shareholding in Shamwari Game Reserve, Jock Safari Lodge and Sanbona Wildlife Reserve. They add these safari lodges to their existing portfolio of Pearl Valley Signature Golf Estate and Spa, Victoria & Alfred Waterfront, Kempinski Beach Resort and Residences (Comoros), Akagera National Park (Rwanda), One & Only Zanzibar, Djibouti Palace Kempinski and Nyungwe and Gorilla’s Nest Lodge (Rwanda). At about 17h00, a 4x4 vehicle overturns killing 3 passengers on the scene (British tourists Marjorie Ruth Moore, 67, Sharon Bryant, 47, and and their friend from Port Elizabeth, Eileen Croker, 66 - who was also originally from Britain). Marjorie Moore's husband Richard had elected to go to church instead, and survived. The vehicle was being driven up a steep hill when it started rolling backwards and overturned. Tiger Woods proposes to his girlfriend, Elin Nordegren, at Shamwari (after participating in the President's Cup in South Africa) within sight of a white rhino next to a boerboon tree at sunset. "When they came back (from a walk in the bush), and Woods pointed at Nordegren's finger, saying: "We have some good news." Elin had that bling on her finger—and I mean serious bling." said Lucky Khumalo, their guide on the trip. Shamwari is established by Adrian Gardiner, by combining 14 degraded farms and restocking them with animals. An irresistable anecdote concerns the imported Mercedes-Benz 500SL Adrian Gardiner used to own: "I had R600 000 sitting in my garage and I never used to drive the damn thing. So I got rid of it and bought another farm." Famous people who have visited Shamwari Game Reserve include Nicolas Cage, Prince Charles, Brad Pitt, John Travolta and Tiger Woods. While there aren't international flights to Port Elizabeth, there are many international flights to Cape Town and Johannesburg, and regular flights from Johannesburg to Port Elizabeth and Cape Town to Port Elizabeth. Hire a car at Port Elizabeth Airport and drive along the N2 towards Grahamstown for 65km, turn left on to the R342 Paterson Road (a gravel road) at the Shamwari sign and drive on for seven kilometres to the Shamwari Game Reserve. If you've got more money than you know what to do with, or are travelling in a large group, a charter flight will allow you to arrive at Shamwari in style, flying to the Long Lee Manor Airstrip (E 26°02'50.9" S 33°27'24.9"). After getting through the new terminal at Cape Town International Airport (and surviving an encounter with an incompetent check-in lady), the Roving Cameraman flew to Port Elizabeth and then onwards to Shamwari. They were going to Shamwari with Emma Crosby (from GMTV), with a particular interest in seeing the Born Free Centre. To whet your appetite, here's a collection of Kruger Park photos.